Kinetic Die Casting sends out a Company Email Newsletter from our die casting company blog to our customers, friends, and other subscribers. This is a "Subscription Only Newsletter". How do I sign up for this newsletter? 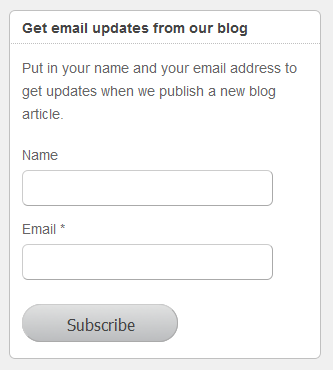 die casting blog and look to the right sidebar for the sign up link. Put your Name as you want to see it in the newsletter in the top location. Put your valid Email * address in the bottom area. A confirmation email will be sent to your email address. Confirm by clicking the link sent to your email address.